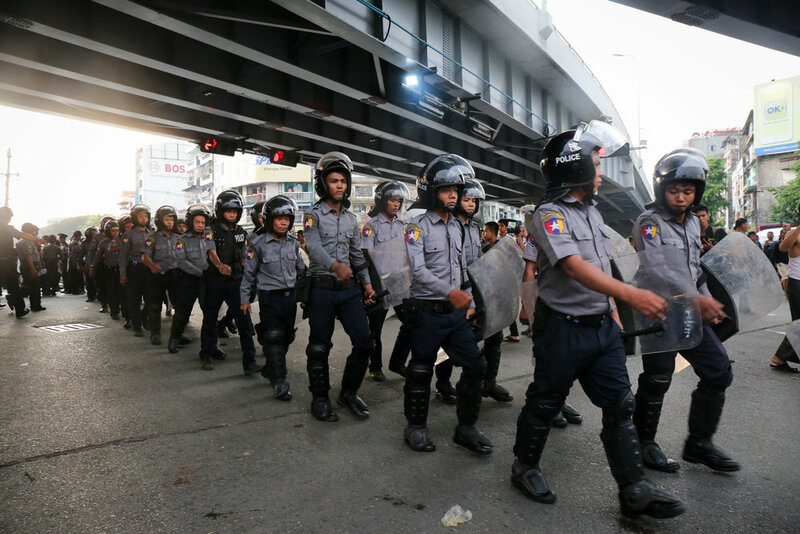 Riot police move forward at a peaceful protest in Tamwe, Yangon. 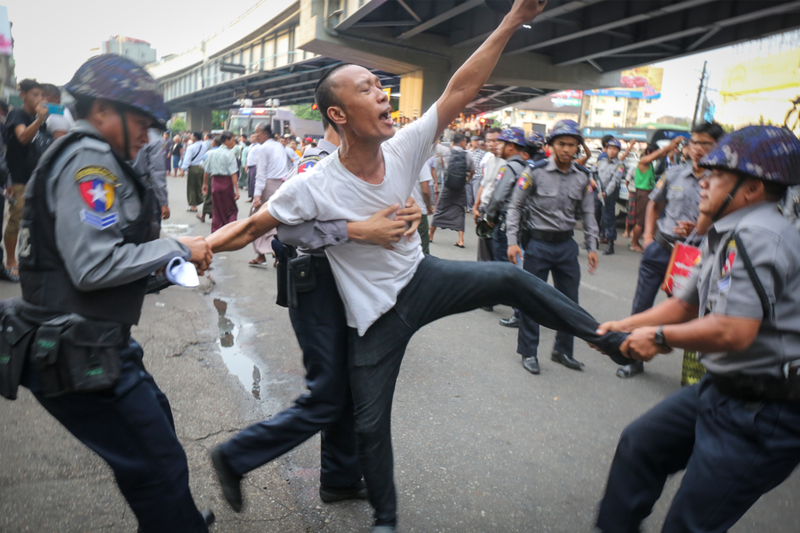 The protest turned violent when police began attacking protestors, later punching journalists. April showers bring May flowers... and a seemingly never-ending stream of news. I began writing for Associated Press this month, working on a part-time basis. 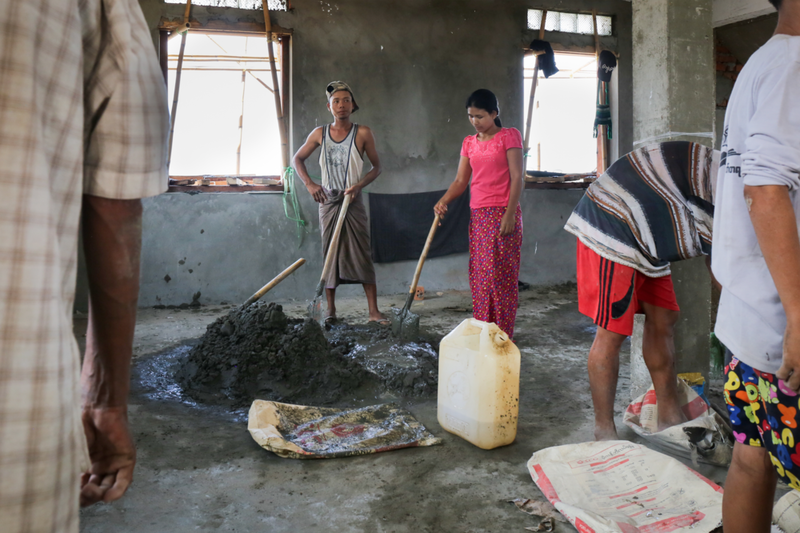 My first assignment with them kicked off early on the morning of May 12, covering escalating fighting between the armed ethnic groups and Burmese military. 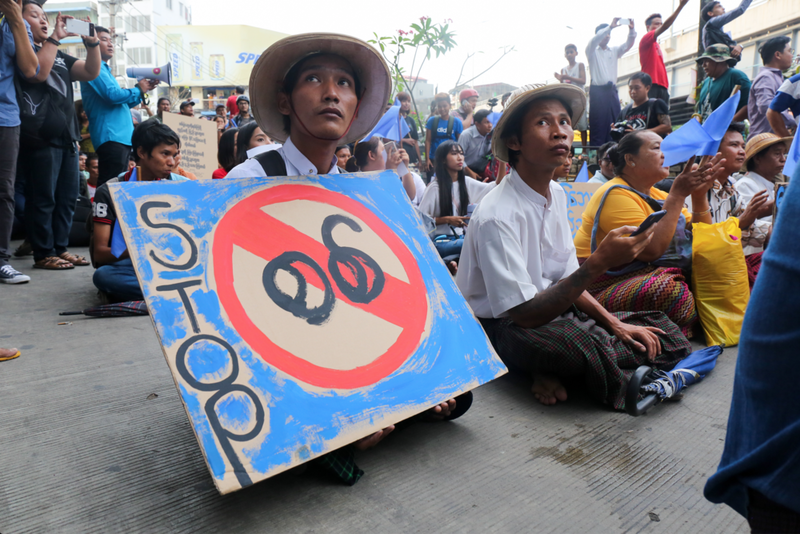 That same day was the peaceful protest calling for an end to the violence in Kachin and other states in Myanmar. The event quickly turned violent when police began to beat peaceful protestors and, later, journalists. I watched as vigilantes in plain clothes helped police beat and carry away young people calling for peace. I smelled the alcohol caking their breath as they hissed, "Beat the protestors! Kill them!" to the police, who laughed and jeered in response. After it was all said and done I went home and filed an update to the Muse story, including the protest. 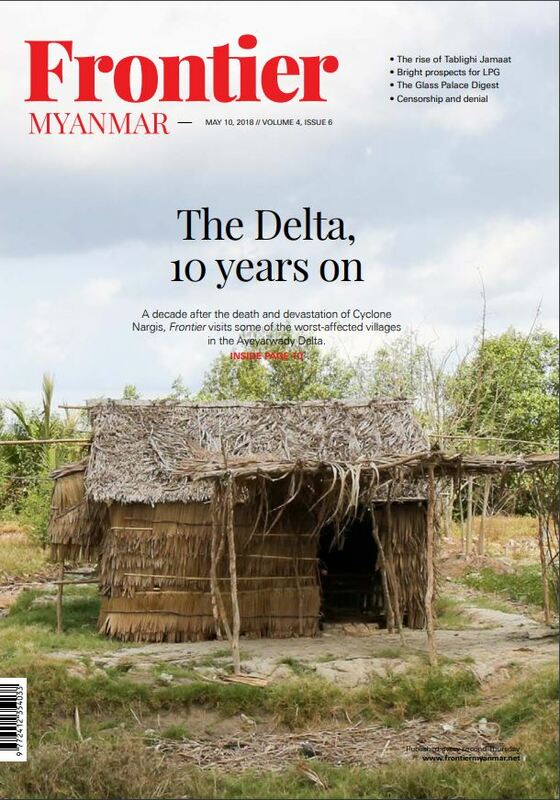 My photo on the cover of Frontier Myanmar. 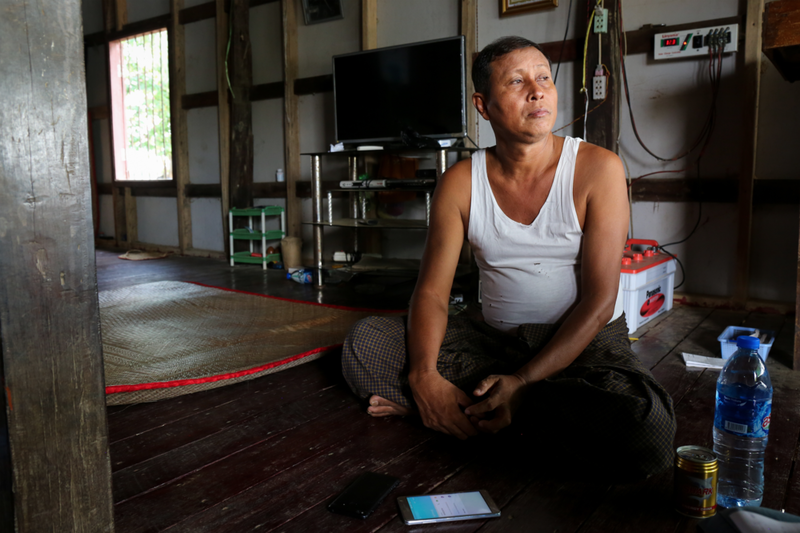 A cyclone survivor sits in his home, describing life then and now. Irrawaddy Division, Myanmar. This buddy made me an amazing lunch. The elder monk at the monastery told us he became a monk after a harrowing near-death experience during the cyclone. Irrawaddy Division, Myanmar. Speaking of videos- I also made another stop by the Assistance Association for Political Prisoners Museum that opened up in northern Yangon this March. One of the founders of the organization — a former political prisoner himself — talks about the museum as well as the need for reconciliation with the past so that the country can move forward. World Press Freedom Day was on May 3rd. 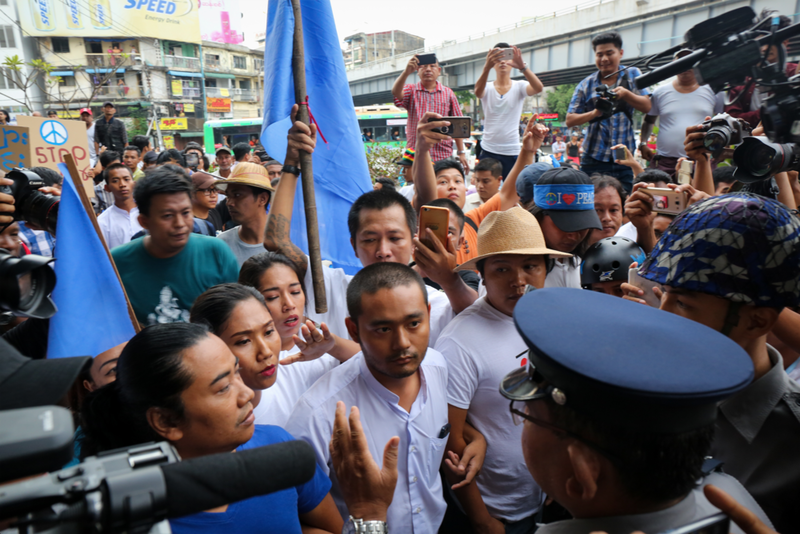 While there might be a lack of press freedom in Southeast Asia, there's certainly not a lack of things to talk about. 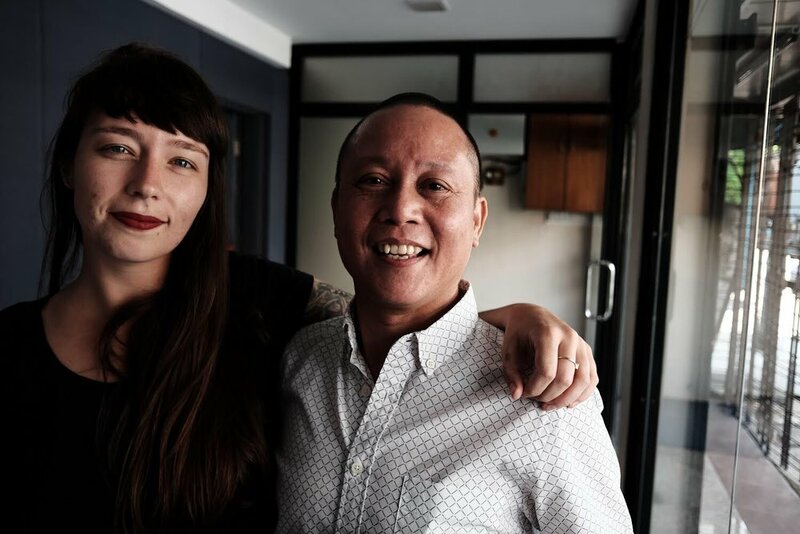 I was interviewed for two pieces about this: "No Journalist Should Have to Know How to Survive in Prison" by Alice Driver and "Red Lines and Self Censorship in Southeast Asia" by Kirsten Han. 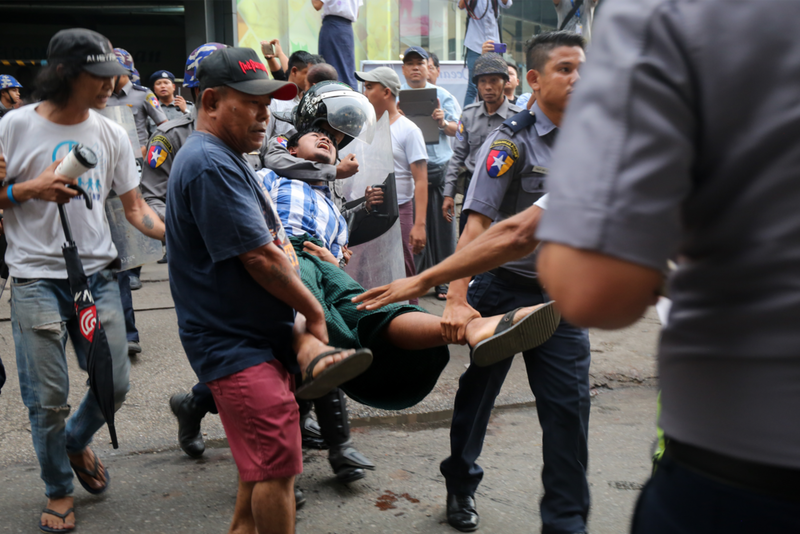 A few other odds and ends: I started a few months ago I started a weekly newsletter that gives a "skim" of the week's Burma news. You can sign up for it here. I am also contributing to New Naratif's weekly newsletter, Akan Datang, that takes a look at the week ahead in Southeast Asia. Another piece I did for Associated Press, this time about how a UN official is urging for access to conflict areas across the country. My coworker and I interviewed Facebook about what they're up to in Myanmar.. and the results weren't very promising. Facebook refused to say how many Myanmar-language speakers they have on their staff or how many they will hire in the next few months while also admitting their AI technology is essentially useless without native speakers- woof. 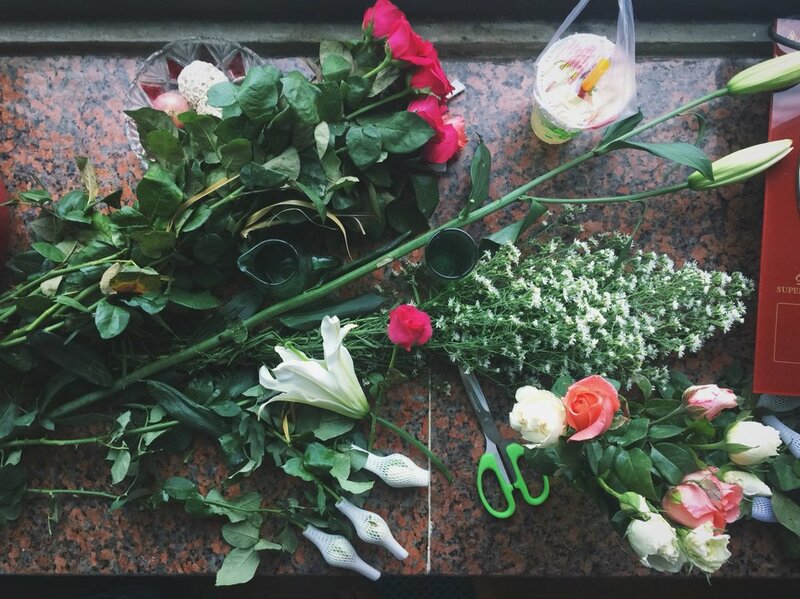 April bring Thingyan, the Burmese New Year. I shipped myself out to Berlin for a week of art, pastries and public transportation before flying to Ubud for a weekend of sunshine and visiting a best friend. Somehow I managed to cheat time and make it to Cambodia for a long weekend that came straight from the pages of an indie storybook. But, for now, I'm back in Burma where the rains are now steady and the flowers are still cheap and plentiful.